On 17 January 2019, alledging that the religious based persecution and brutal atrocities committed against ethnic Uyghurs in the Xinjiang Autonomous Region in China are one of the biggest human rights issues in the world, the U.S. Congressmen Chris Smith reintroduced a bipartisan legislation that may provide new tools and information for policymakers to engage with human rights violations in the region. By providing concrete policy options to address the situation, the bill is welcomed by the Unrepresented Nations and Peoples Organization as an important advancement inraising awareness on the Uyghur issue. Rep. Chris Smith (R-NJ), immediate past co-chair of the Congressional-Executive Commission on China, together with Rep. Thomas Suozzi (D-NY), today [17 January 2019] reintroduced bipartisan legislation—HR 649—that would provide policymakers with new tools and information to address the egregious human rights abuses committed by Chinese Communist Party officials and local authorities in China’s Xinjiang Uyghur Autonomous Region. 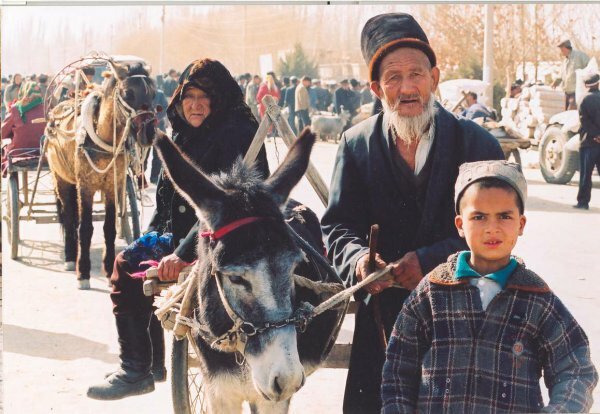 Over a million Uyghurs and other Turkic Muslim ethnic minorities in the region have been interned in “political reeducation” camps and the entire families of Uyghur advocates for human rights in China have disappeared, including many U.S. citizens. There are reports of torture and forced labor in the camps, with possible export of goods to the U.S. market. “This is now one of the world’s most pressing human rights challenges,” said Smith. “The Chinese government is engaged in an appalling campaign to forcibly assimilate and destroy the religion and culture of Uyghurs and other Turkic Muslims—we cannot be silent when such atrocities occur. There must be a coordinated and bipartisan response, from the U.S. and the international community, that will hold Chinese officials and businesses accountable for their egregious abuses and, at the same time, will protect U.S. citizens and their families. Condemns human rights violations in the Xinjiang Uyghur Autonomous Region, including the arbitrary detention of up to one million Uyghurs, and calls on the Administration to use Global Magnitsky sanctions and the Commerce Department’s “Entity List” to sanction Chinese officials responsible for abuses and control the exports of Chinese businesses profiting from the mass surveillance and internment of Uyghurs in Xinjiang; Calls on the Secretary of State to consider a special position at the State Department—the United States Special Coordinator for Xinjiang—to coordinate the U.S. response to abuses in the region, and to consider applicable targeted sanctions for individual human rights abusers in the Chinese government, Chinese Communist Party, and state security apparatus; Calls for a regional security assessment by the Director of National intelligence to issue an assessment of the regional security threat posed by the crackdown on Uyghurs and the transfer and development of technology facilitating surveillance and mass internment. The report will also include a list of Chinese companies involved in the construction and operation of the camps; Calls for an FBI report on efforts to provide information to and protect U.S. citizens from Chinese government harassment and intimidation on American soil; Calls on the CEO of the U.S. Agency for Global Media to report on efforts to intimidate Uyghur language Radio Free Asia (RFA) employees and create a strategy to counter Chinese government disinformation and propaganda efforts targeting Uyghur communities globally; and Calls on the Secretary of State to submit an interagency report assessing the number of persons detained in re-education camps, the conditions in those camps, the number of those arbitrarily detained, and repressive surveillance methods used by authorities in the region. Additional original cosponsors of the legislation include Reps. Michael McCaul (R-TX), Steve Chabot (R-OH), Brad Sherman (D-CA), Gerry Connolly (D-VA), Albio Sires (D-NJ), Joe Kennedy (D-MA), Chellie Pingree (D-ME), Steve Cohen (D-TN), Mark Meadows (R-NC), Joe Wilson (R-SC), Ann Wagner (R-MO) and Raja Krishnamoorthi (D-IL). The bill is the House analogue to a Senate bill introduced by Sens. Marco Rubio (R-FL) and Bob Menendez (D-NJ).